In case of fracture an orthopaedist aid is indispensable. Heretofore, it was believed, even by the profession, that after the accident, broken bones must be set as soon as possible and this belief is still prevalent among the people at large. Modern investigation has shown that it is better to adjust the broken parts after the primary inflammation has subsided which lasts from 1 to 2 days. 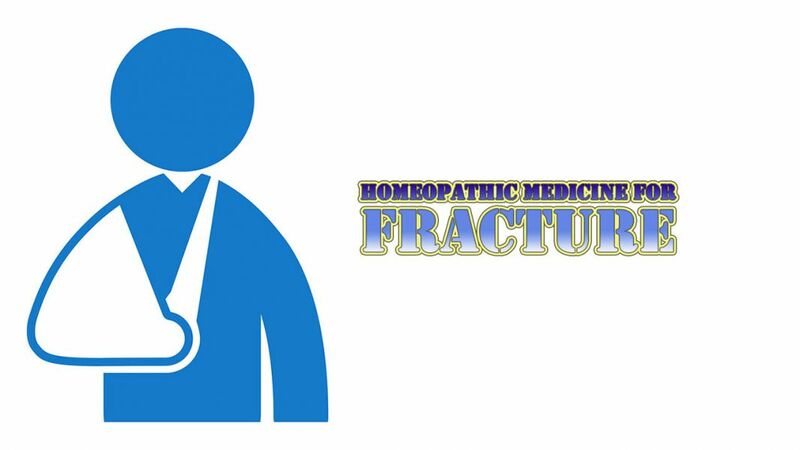 Immediately after the fracture of bone Arnica 200 should be given every 15 – 20 minutes. After 3-4 doses every 2 – 3 hours. Systematic homeopathic – medication begins only after the bone setting has been completed. Homeopathic remedies promote healthy growth of callus (hardness) and hasten restoration of the patient to normal. The main remedies to be used in accelerating the union of fractured bones are Symphytum and Calcaria Phos. The potency generally suitable is 6 in first two weeks and 30 and 200 after two weeks. Give both the remedies every four hours alternately for two months. Both these remedies facilitate union of fracture and relieve pain of bone. Ruta 200 may be given two times a day after about two months for the remaining pain.